Reel Talk Online: How Much Longer Do We Have With This DIVERGENT Franchise? How Much Longer Do We Have With This DIVERGENT Franchise? Because I just...cannot get past how incredibly bland this entire franchise is--now three films in. And how has it not gotten any better? Oh wait, let me look at those box office receipts again...over $280 million combined. So, that answers that question. After watching the new teaser trailer for THE DIVERGENT SERIES: ALLEGIANT, I realize there is nothing I can really say tat any true fan would care about. So I will just give you my blessing and I hope you enjoy it. Because I won't be seeing it. The first two films were enough torture for me; my civic duty is done. You guys can pick it up from here. 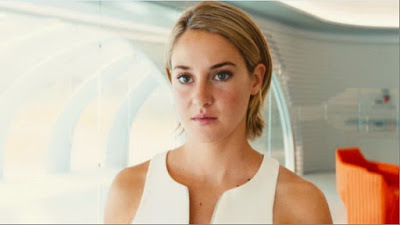 THE DIVERGENT SERIES: ALLEGIANT opens in theaters March 18, 2016.